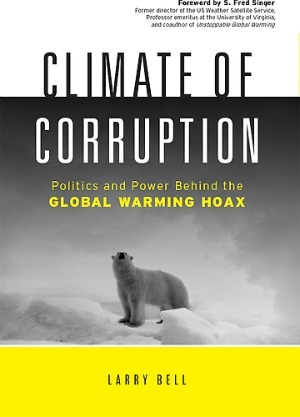 On Friday, April 8, in the Longworth House of Representatives office building, the Cooler Heads Coalition hosted Professor Larry Bell, author of “Climate of Corruption: Politics and Power behind the Global Warming Hoax,” for a Congressional briefing on his new book. Video of Professor Bell’s excellent presentation is available here. For a Washington Times review of Climate of Corruption by climate scientist Anthony J. Sadar, click here. Dr. Larry Bell writes a weekly column for Forbes.com under the byline The Bell Tells for You. He is a professor and endowed professor at the University of Houston where he founded and directs the Sasakawa International Center for Space Architecture and heads the Graduate Program in Space Architecture. He has received numerous national and international awards in recognition of his contributions to space education and program development.